Huawei Honor 6 Plus has amazing looks, a camera that will just make u crazy an amazing UI with the best performance you may get. For those who are comparing it with OPO- 1. the performance of both the phones is same but honor 6+ has a better camera and great looks than OPO 2. the processor can be compared toh snapragon 805. OPO has snapdragon 801. 3. You will enjoy each high performance demanding game without any lags. 4. OPO is facing a lot of problems lately. 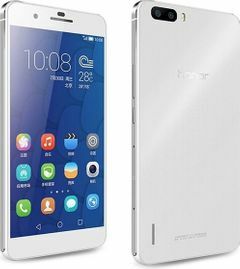 Honor 6+ will be a better option to go with. 10. Networking has been taken care of very well unlike OPO. 1. OS is a bit old, but the update will be out soon. 2. Speakers on the back side.